Foundation: The German Council for Land Stewardship is a non-profit organisation which was established in 1962 by the former President of the Federal Republic of Germany Dr. h. c. Heinrich Lübke, who wanted advice in environmental politics. Task and working method: The task is to work out expertises in the field of nature conservation, landscape management, landscape planning and environmental protection. Basic objects of the work are fixed in the Green Charter of the Mainau. The German Council applies for projects of actual importance at different institutions (e. g. ministries, foundations). The topics of actual importance are discussed during the two assemblies per year. Usually work begins with a scientific conference. The results of such a meeting are the bases for further researches and discussions with other experts; this work is done by subcommittees of the members and by the co-workers of the office. The result is a scientific expertise with recommendations what has to be changed (e. g. laws, guidelines, education) in future. The expertises are regularly published in a series (Schriftenreihe des Deutschen Rates für Landespflege) and send to all political parties, decision makers, universities, higher and lower administrations, non-profit organizations/nature conservation groups, who may be concerned in those questions and interested in improving the situation. Nobody is forced to follow up the advice, but especially in legislation important inputs were given. Finances: The German Council for Land Stewardship applies for projects at different institutions. Members: There is a limited number of members: The German Council for Land Stewardship can have 20 active members. In addition it provides honorary members and correspondend members. The members are chosen by the council assemblies. The members represent the following fields and are experienced experts in their subjects: landscape ecology, landscape planning, biology, forestry, agriculture, city planning, architecture, economy, legislation, industry. The actual number of members is 29. 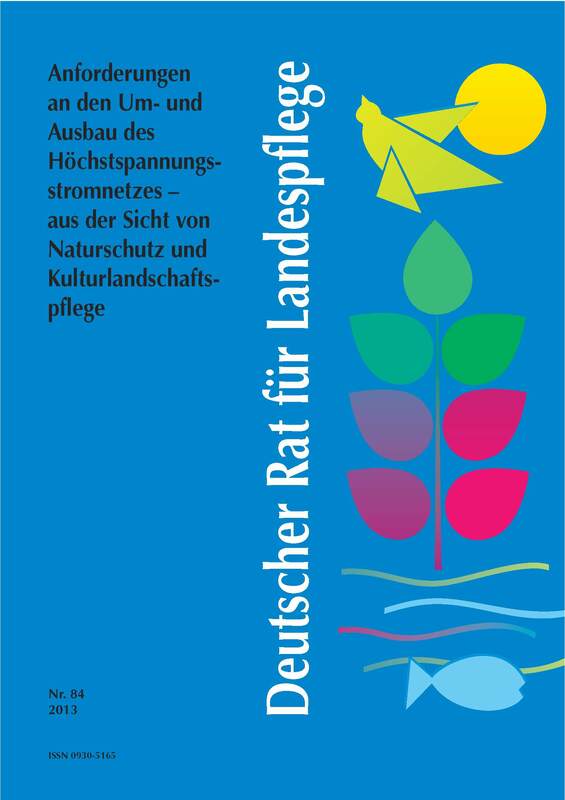 Nature protection in Germany - a story of success? "I am pleased to present The Green Charter of the Mainau. Its purpose is to demonstrate clearly to all in charge of urban and rural development, that individual and ultimately even political freedom can only thrive in a healthy environment. The Green Charter is based on ideas of a group of independent, responsible men and women who have met now for five years for round table discussions on the Mainau. This Charter has been formulated by recognized experts in their fields. The Interparliamentary Working Committee, consisting of members from all parties of the Bundestag and the Länder parliaments, has made essential contributions. May the Green Charter of the Mainau support, promote, assist and above all initiate concrete actions. It is these that are most urgently required in our time." For mankind’s sake everyone is called upon to assist in the realization of the aims of this Charter. An independent committee consisting of senior representatives of the cultural, political, industrial and conservation areas is to contribute to its realization, since all our future depends on it. Art. 14 (2) Property entails obligations. Its use should also serve the public interest. The very foundations of our lives are endangered because vital elements of nature are being contaminated, poisoned and destroyed and because noise is harassing us intolerably. The dignity of man is threatened wherever his natural environment is impaired. Part of the inviolable and inalienable human rights is the right to a healthy life worthy of a human being, in both town and country. III. A prerequisite of our lives is, apart from wholesome food, an environment consisting of healthy soil, pure air and water and a thriving flora and fauna. These vital elements of our existence are being excessively and unnaturally exploited. With increasing frequency fertile soil is being destroyed, surface and groundwater contaminated, air polluted, flora and fauna encroached upon and the open countryside disfigured. The healthy countryside is being consumed at an alarming rate. Technology and industry are indispensable prerequisites of our modern life. But: The natural basic resources of technology and industry can neither be replaced arbitrarily, nor can they be augmented at will. It is therefore necessary together to examine the situation to plan and to act jointly in order to establish and to safeguard the balance between technology, industry and nature. Legally enforceable town and country planning at all levels, taking natural conditions into consideration. The drawing-up of landscape and green space plans for residential, industrial and transport areas in all communities. Adequate recreational space by the provision of land for gardens and parks, unrestricted access to forests, mountains, lakes and rivers and other amenities of the countryside, open spaces in municipal centres close to residential areas for daily recreation, recreational space close to town for weekends and recreational space far from town for holidays. The safeguard and expansion of sustainable productive agriculture and of well ordered rural residential development. Intensified measures to preserve and restore a sound ecosystem, particularly by protection of soil, air and water. The preservation and sustainable utilization of the existing natural and manmade green space. The prevention of avoidable damage to the land, for example during residential and industrial development, mining, hydraulic engineering and road construction. The restoration of unavoidable damage, particularly by the replanting of wasteland. A change in the attitude of the whole population by more intensive education of the public regarding the importance of the land and the dangers threatening it. A stronger emphasis in education of the fundamental knowledge regarding nature and the land. The expansion of research in all disciplines relating to the natural environment. Adequate legislative measures for the promotion and safeguard of a healthy environment.